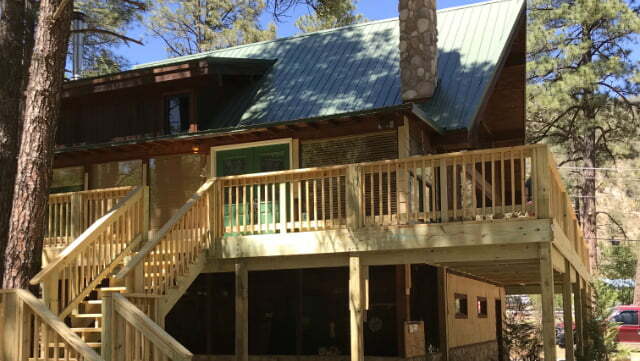 This luxurious Ruidoso cabin rental boasts a “Clear View “ to Sierra Blanca from any of the decks and the great room! This western themed cabin will not disappoint, with a relaxing hot tub to soak the stress away, to the awesome pool table and flat screen TV’s for family fun and entertaining! This 6 bedroom 3 bath cabin is large enough for the entire family! 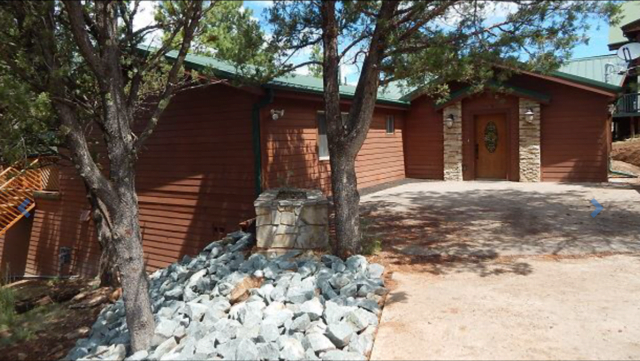 This Ruidoso cabin rental is located in one of the most desirable areas in Ruidoso…on the river! Riverside cabin has everything to make your dream vacation come true. Take a short stroll to the river, only feet away from the cabin! Relax on the deck and enjoy the sounds of the flowing river and fresh air of Ruidoso. You will absolutely love staying in this authentic log cabin. This cabin is made of logs cut and milled in Cloudcroft, NM. 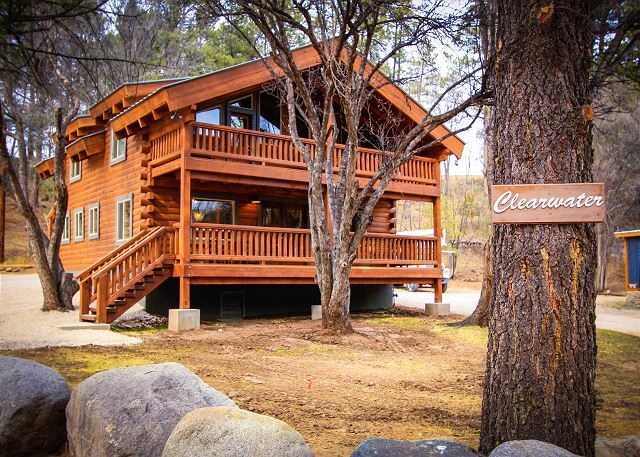 This custom log home sits right on the Ruidoso River between Riverside and Starlight Cabins. It is next to the Sanctuary on the River and is within walking distance to downtown shopping and restaurants. This 3 bedroom 2 bath with a huge loft is sure to make you feel nostalgic and cozy. Log cabin living for a few days does a body good. The hot tub, river, and deck just make it that much better. Starlight Cabin is a totally renovated 1930’s fishing and hunting cabin. It is a one bedroom and one bathroom “honeymoon suite” complete with a claw foot tub. This vintage gem is sure to please with its river view, porch swing, hot tub, grill, and cozy feel. Enjoy this nostalgic atmosphere and let your worries melt away. 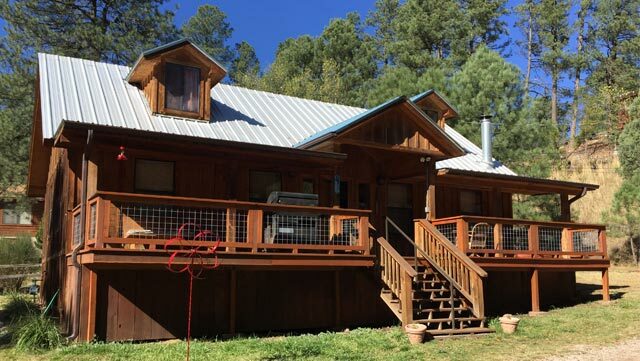 This secluded Ruidoso mountain cabin is sure to calm your spirit. Located high atop the Black Forest in the prestigious Upper Canyon, this 4 bedroom 3 1/2 bath is just what you need for a quiet remote getaway. 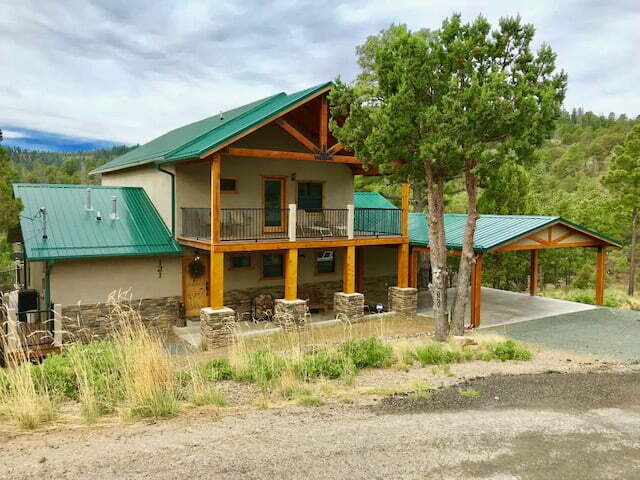 Recently remodeled, this beautiful home has breathtaking views across the national Forest and also of Sierra Blanca mountain. Hiking and biking trails are only steps from your front door. So if a peaceful serene getaway is what you are looking for, this is the place you want to be. 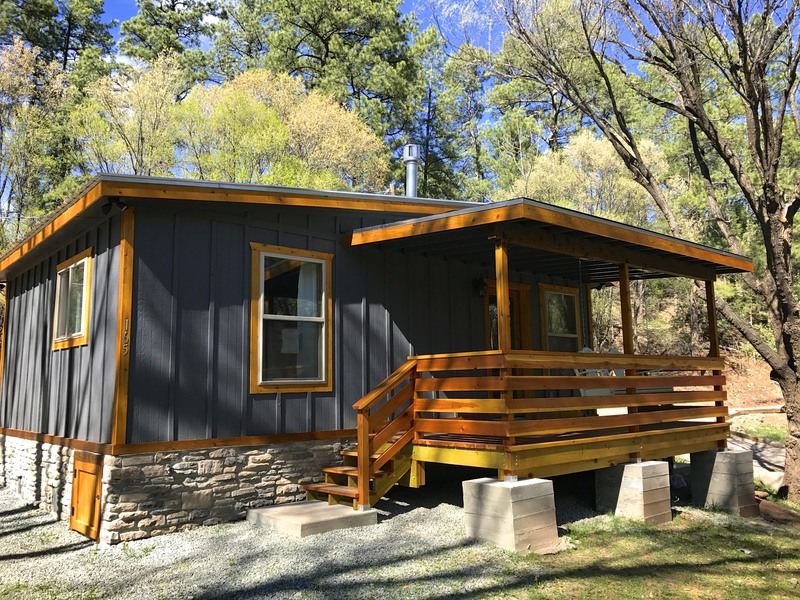 Riverside, Clearwater, and Starlight cabins are all conveniently located on the same quiet culde-sac on the river near midtown Ruidoso. We officially began our adventure in 1993 when we discovered Ruidoso as a newly married couple enjoying weekend getaways. 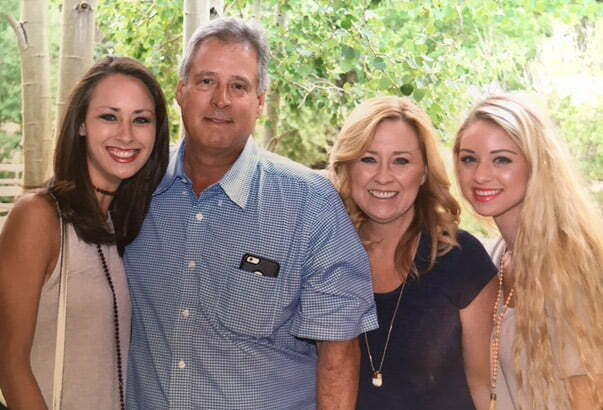 We purchased our first cabin in Ruidoso in 1997. Our family enjoyed many weekends and holidays in this cabin, so much so that we decided to purchase a vacation rental several years later in the hope that other families could experience the same fun, enjoyment and memories that we did.